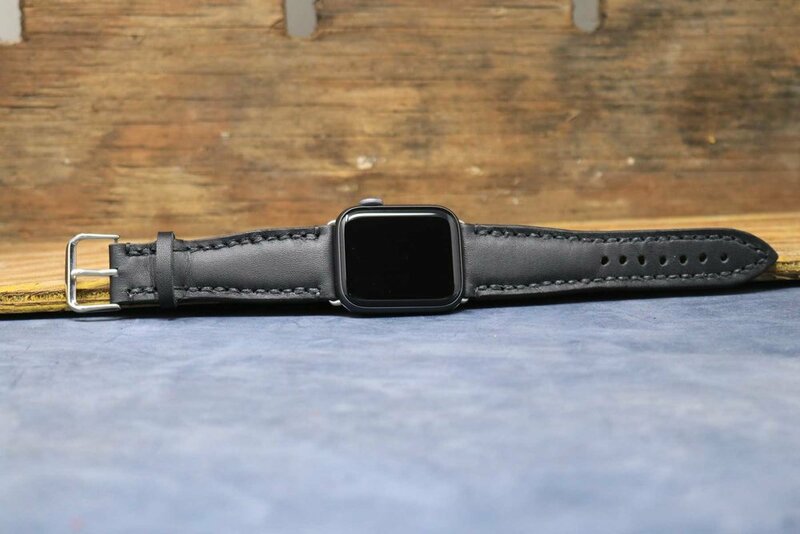 After purchasing an Apple Series 4 watch, I couldn’t find a leather watch strap that was within my price range and made with quality materials. 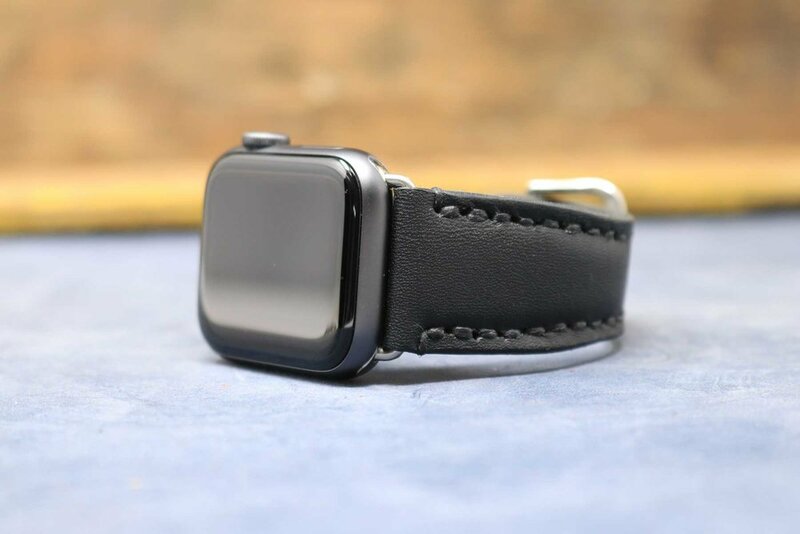 There were watch straps on both ends of the spectrum like the Hermes collection from Apple and lots of low cost, low grade leather watch straps on the market. 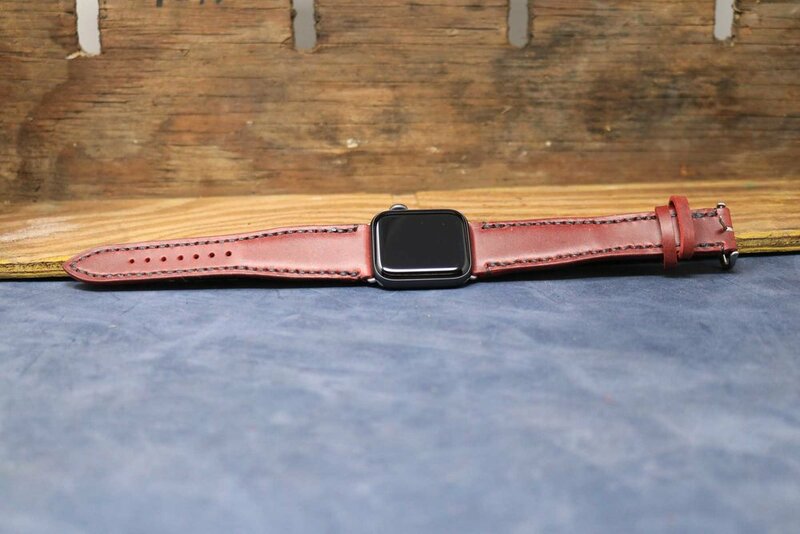 Instead of continuing my search for a leather watch strap, I saw this as an opportunity to fill this need in the market and add to Mars Leather Company’s products. 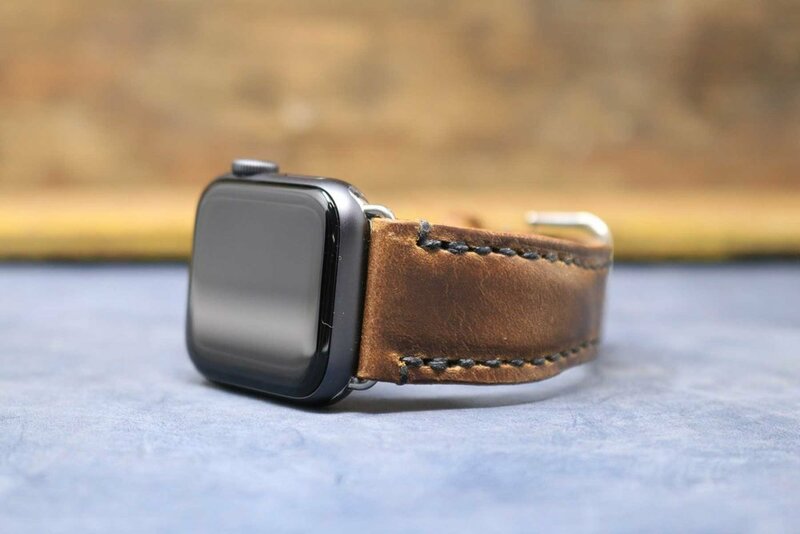 The watch straps are designed to fit a 22mm pin, which is the size of the Apple series 4 watch connector, and are comprised of 2 layers of either top grain or full grain leather. 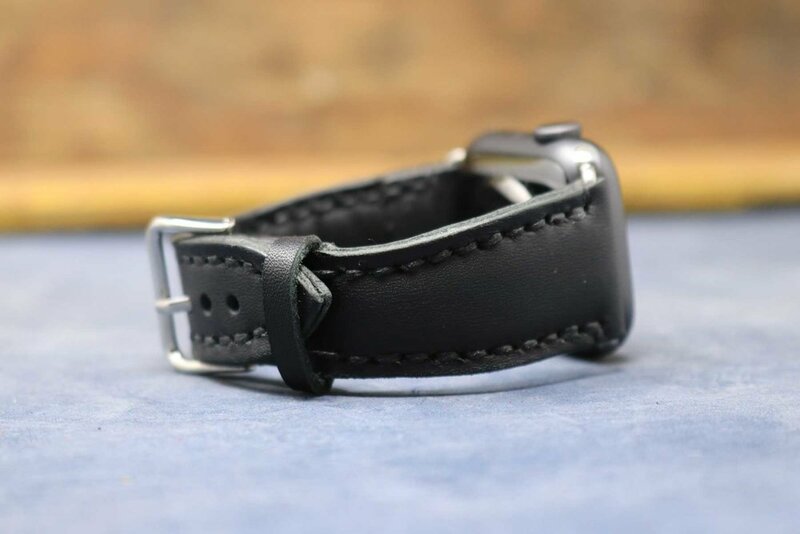 These two pieces of leather are hand cut, adhered to one another with a smaller infill piece of leather to raise the finished surface of the watch strap, and hand stitched together. The shape of the watch strap is wider at the watch and curves and narrows towards the clasp. This combination of high quality leather and simple curves creates a watch strap that is both elegant and timeless. 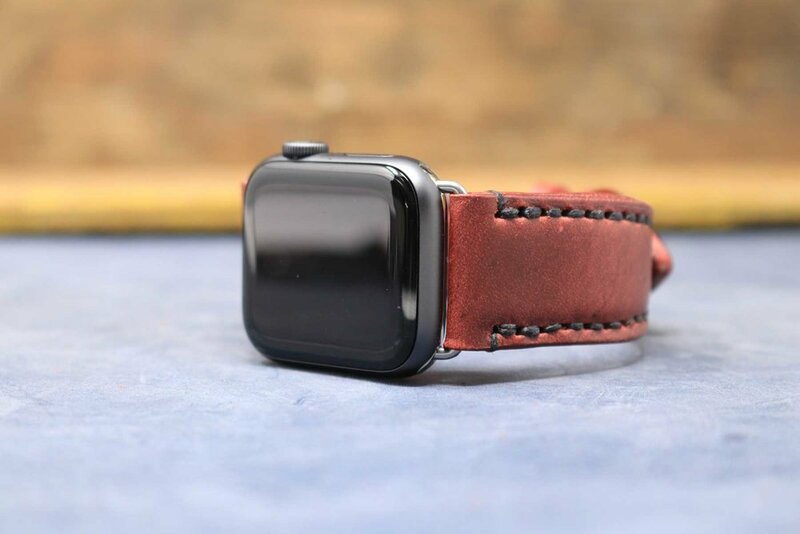 Just like any top and full grain leather product, these watch straps are made to stand the test of time and gain a beautiful patina with use. Scars from the animal’s hide vary in each watch strap and add a layer of depth to the aesthetics of the product. Setting out to design a high quality watch strap at a fair price required several trial and errors with different styles, methods of crafting, and time. However, it resulted in a new product line for Mars Leather Company that is elegant, timeless, and fits the aesthetics of the company.